Smart Seeds attempts to add some spark to imagining future infrastructure. The 10-week program encourages groups of young professionals to develop innovative solutions to a series of infrastructure challenges. Noetic’s consultant Timothy Leavold had the opportunity to participate in the Smart Seeds program and reflects on his experience. As comedian John Oliver has pointed out, infrastructure is something we only tend to think about when it’s being exploded in Michael Bay films. Planes, trains and automobiles may well be a great idea for a film, but it doesn’t stir much excitement at parties. After pondering in front of a whiteboard with options displayed before me, I opted for the particular challenge of how Canberra might re-imagine and re-purpose its public spaces as the rise of automated vehicles freed up land by making carparking obsolete. As someone who considers looking for car parking to be among the principal banes of their existence, the emotional connection to this challenge was total – an opportunity to topple the tyranny of parking. I was fortunate to find myself in a diverse team that read like the setup to an old joke: two consultants, a policy officer, an interior designer and an engineer walked into a workshop. Diversity and divergence in thought meant that there was no shortage of good ideas. The real challenge came in reconciling what the two broad themes of Smart Seeds: innovation and pitching ideas. Whereas innovation encourages risk, creativity and embracing uncertainty, pitching to investors demands a focus on security and confidence. Sitting on top of these conflicting demands was developing an idea that the community would actually want to use. As we moved to research, we found there is a wealth of quantitative data surrounding the adoption of automated vehicles in major cities across the world. One particularly striking set of statistics was the widespread fear people held about the safety of automated vehicles. 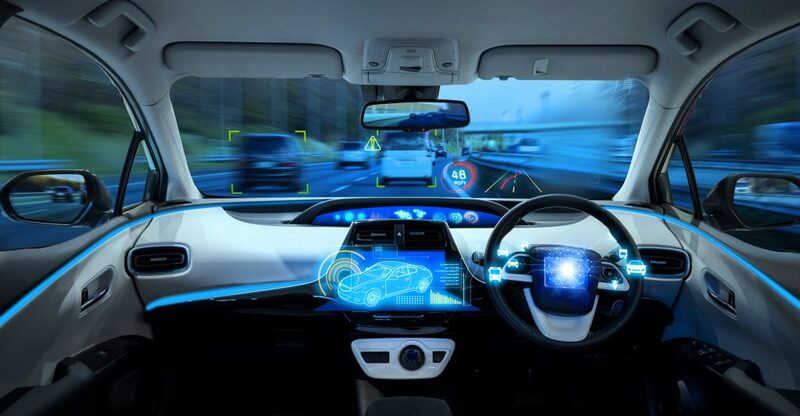 Public acceptance of technology is a major factor holding Australia back in terms of readiness for automated vehicles (ranked 14th out of 20 in a recent KPMG study). What this data lacked was a human quality, especially in a car-dominated city like Canberra. Based on this, our group interviewed a cross-section of local Canberrans and discovered the diversity of views on how they viewed automated vehicles, public space and the future of their city. It became clear to us that what Canberra needed was a more human approach to a technological problem. Our solution: a Collaboration and Research centre, the CaR Park (pause for laughter) built on a city carpark and equipped with augmented reality technology, connected to Questacon via transit in an automated vehicle, the Questacar (the greatest vehicle for science since The Delorean). The premise: to let the community interact with future visions for their city and familiarise themselves with automated vehicles, and allow investors, researchers and government to examine the data to make bold decisions on future infrastructure decisions. Although not getting the nod for the judges’ choice, the CaR Park lived up to its vision of resonating with the community and was endowed with the People’s Choice award. For a consultant working to help clients realise public value, Smart Seeds demonstrated the importance of searching for new and novel ideas, and how to translate them into solutions which make a meaningful impact on people’s lives. Noetic encourages innovative thinking in our people – our clients have difficult, complex and often sensitive problems and challenges, which require us to bring an open mind, to suggest and develop new ideas, to break new ground and to tailor our approaches to their needs. To further your career with us, click here.